Recently, the European Parliament has adopted three proposals in the framework of the post-2020 Multiannual Financial Framework. The proposals are related to the new ESF+, InvestEU and Rights & Values programmes. Increase the percentage for social inclusion of the most deprived and/or material assistance (FEAD) from 2 to 3%. As regards the InvestEU proposal, the European Parliament’s amendments put more emphasis on social innovation and inclusion and the use of the fund for social enterprises is better highlighted, though the amount dedicated to the social innovation window remains well below the other ones. To know more about the proposal and the European Parliament’s report, please check the European Parliament’s website. Add a “union values strand” dedicated to the protection and promotion of democracy and the rule of law, the provision of support for human rights defenders and civil society organisations, and to the promotion of a more democratic EU and raising awareness of the rights and values in the European treaties. 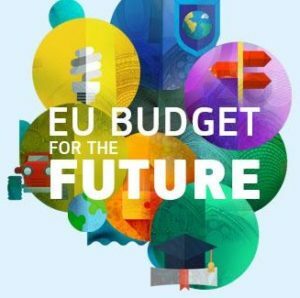 Increase the budget of the programme to 1.627 billion €. Those three fund proposals will now enter the stage of the “trilogue”, which means that the European Parliament, the Council of ministers, and the European Commission will negotiate until they can find a common agreement on the texts. It is unclear however whether the trilogue negotiations will start before or after the upcoming European Parliament elections in May. To know more about these proposals, please read the EP reports on the ESF+, InvestEU and Rights & Values programmes.